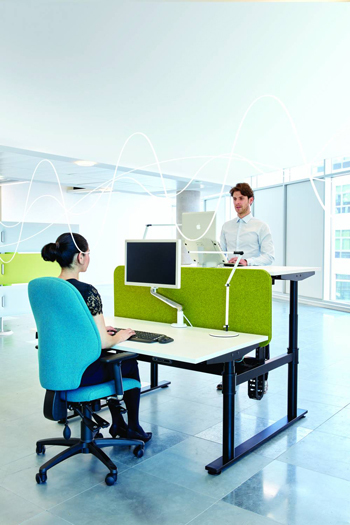 WHY IS IT IMPORTANT TO HAVE ERGONOMIC CHAIRS IN THE OFFICE? When working in an office environment, people tend to spend a great deal of time sitting down at their desk. Without having the correct chair for support, this can cause problems for the lower part of the back, neck and to posture. When sitting at a desk for more than 8 hours a day, the body will start to become very agitated and you may start to experience some pain in the lower back. Having a well designed ergonomic chair with good adjustability will allow most users of different sizes to achieve good support. Ergonomic chairs have all the necessary adjustable features that fit your needs and will support your body, preventing any long-term health issues from occurring. Sitting for a long time not only affects the lower back but also the neck and without any neck support, it is possible to develop a stiff neck and shoulder. Ergonomic chairs can have headrests that help to support your head and neck and thereby reduce any stiffness or injury that may occur. 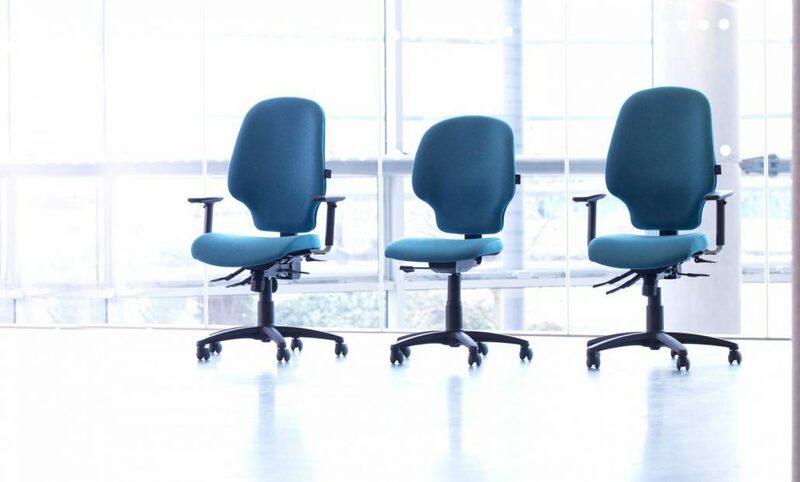 Traditional chairs tend to leave you feeling uncomfortable, which puts a lot of pressure and stress on your back. The correct ergonomic chair will help to support the natural curve of your spine and should be designed with enough height so that they support the whole of your back. They also allow you to move back 90 degrees allowing you to stretch and move comfortably. Headrests are particularly helpful for users that suffer from neck and shoulder problems, allowing the muscles in this area to relax and helping to increase the blood flow. Having armrests that can be adjusted helps support the weight of your arms, enabling the reduction of a muscle strain in the shoulders and upper arms. Armrests are a benefit when using the keyboard or mouse, but if they are not height adjustable, they can cause problems when the armrest hit the edge of the desk, which can cause users to perch on the edge of their seat with no back support. 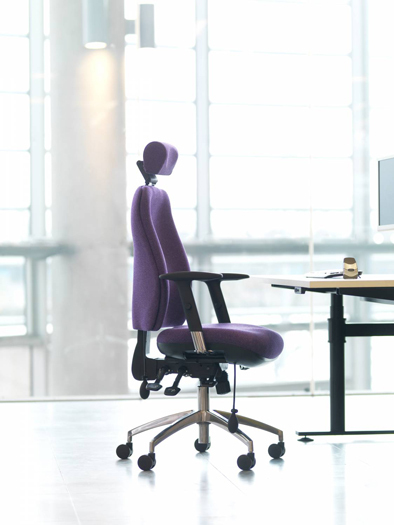 The features that an ergonomic chair has to offer, accommodate your everyday needs. If you need any help or advice on types of an ergonomic chair or other ergonomic furniture, Office Changes can help you. https://www.officechanges.com/wp-content/uploads/2017/11/tl7Wzxwvj8isEDe7DHPG.jpg 905 1500 Gemma Boyd https://www.officechanges.com/wp-content/uploads/2017/10/O.C-Logo-1030x124.jpg Gemma Boyd2017-11-14 15:02:412019-04-05 16:06:02WHY IS IT IMPORTANT TO HAVE ERGONOMIC CHAIRS IN THE OFFICE? 5 SUCCESSFUL TIPS FOR YOUR OFFICE FIT-OUT TIPS TO HELP YOU FIND THE PERFECT OFFICE LOCATION!